The day of closure of the Downey City Library will be on March 16. This will be a full day celebration for the library and its bright future. There will be music, art and activities for the family. Also on site will be local libraries signing up residents for library card registrations. Confirmed cities are Norwalk, Commerce and Santa Fe Springs. The Downey City Library will go through a massive transformation and will reopen in 2020. The entire interior of the library will remodeled. A modern look with paint and new signage is planned for the exterior. The library is long overdue for improvements and once this project is complete, it will become a true gem of the city for residents and future generations to enjoy. Join me on April 3 for the annual State of the City address at the beautiful Rio Hondo Event Center. Each year, the State of the City address brings together the community to celebrate accomplishments and preview the year ahead. We are blessed to have had another great year here in Downey. Please join me and hear about the city’s accomplishments and future goals. For more information, please contact Blake at the Downey Chamber of Commerce at 562-923-2191. Please join your City Council members on the first day of Spring, Wednesday, March 20, for the first “Walk with your Council Member” series of the year. The walk will be held at the Downey High School track at 7 pm. 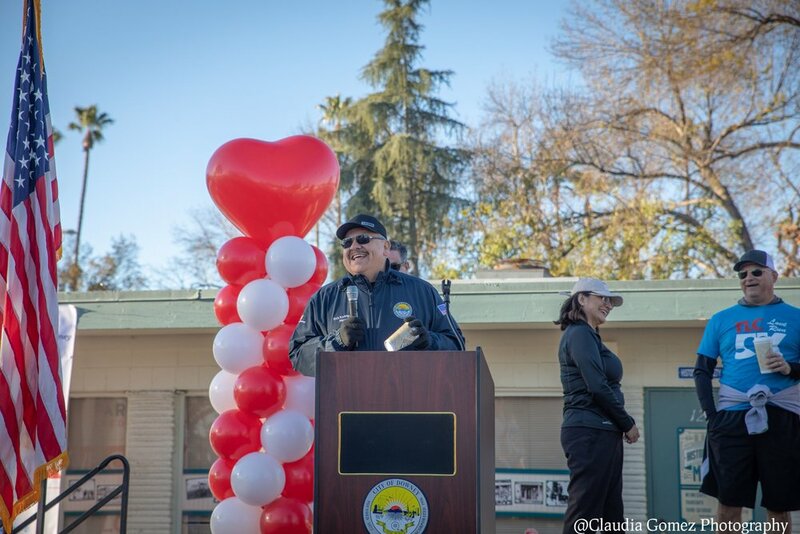 These walks will help to improve fitness, health, and wellbeing as well as give you a chance to speak with your elected officials about any city issues or questions you may have. In last month’s article, I talked about the Downey One Day of Service Fair which will take place on Saturday, April 27 at the Civic Center. This will be a community service day in which volunteers will give back by participating in various projects throughout the city. We will be having a meeting on March 14 at 6 pm inside the Barbara J. Riley Community & Service Center where you can hear more information about the event as well as share your input and ideas. Lastly, I would like to remind everyone the importance of being vigilant in our community. A good neighbor is one of the most effective crime prevention tools ever invented. If you see something, say something. If you encounter a suspicious person in your neighborhood, please call and report it to the Downey Police Department by calling 911.